Annual Sport Festival for futsal category is opened today by North Jakarta Mayor, Syamsudin Lologau, at Tugu Stadium, Koja. In his speech, Syamsudin appreciates all participants who have passed the preliminary round at RT, RW, urban village, and sub-district levels. "Let's uphold sportsmanship. I hope we can find the new potential futsal players through this game, so give it your all," he mentioned on the location, Saturday (3/23). This competition is participated by students from elementary schools to senior high schools in North Jakarta with total 18 teams. 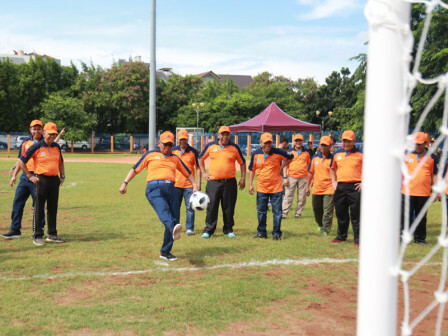 The winner will represent North Jakarta to compete at provincial level.